The International Sand Art Festival is a cultural event held by Odisha Tourism from 1st-5th December every year in Konark, Odisha. 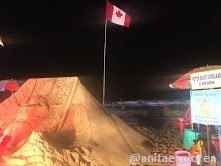 The festival celebrates sand sculptures created by skillful artists from around the world. 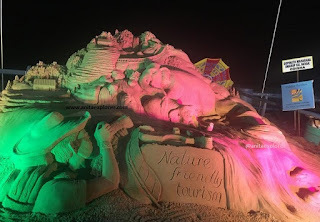 There are no entry-fees and the sand art festival is free for spectators. The festival is held at Odisha's Chandrabhaga Beach, 3 kilometres from the UNESCO world-heritage site, Sun Temple at Konark. The soft golden sands of the enchanting Chandrabhaga beach are sculpted into spectacular art forms that etch a permanent impression in the visitors' minds. 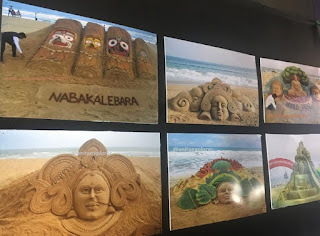 If one loves creating sand art or viewing awesome sand creations, one must head to the venue for this stupendous treat! 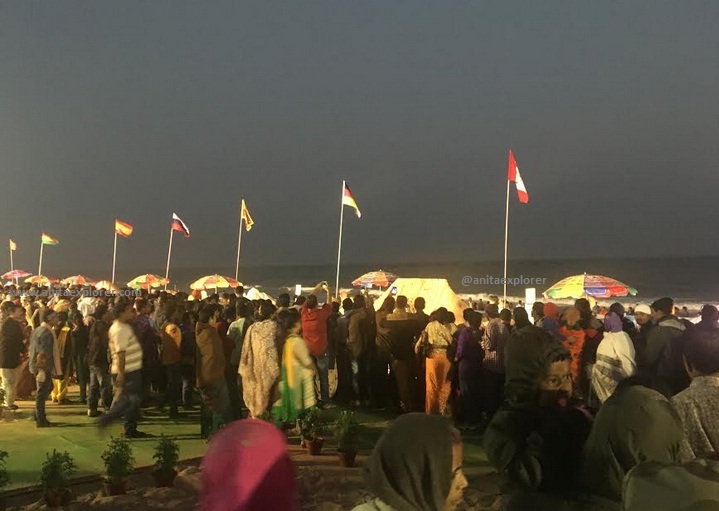 Starting 2015, the International Sand Art Festival has been held on the Chandrabhaga beach. The 3rd edition was held in December 2017. Internationally renowned sand artist, Sudarsan Pattnaik, is the brand ambassador of the event. Sand artists from India and many countries like Singapore, Canada, France, Spain, Germany, USA, Russia, Sri Lanka etc. participated. There was a cash-prize of Rs 1,00,000 for the creator of the best sand art. 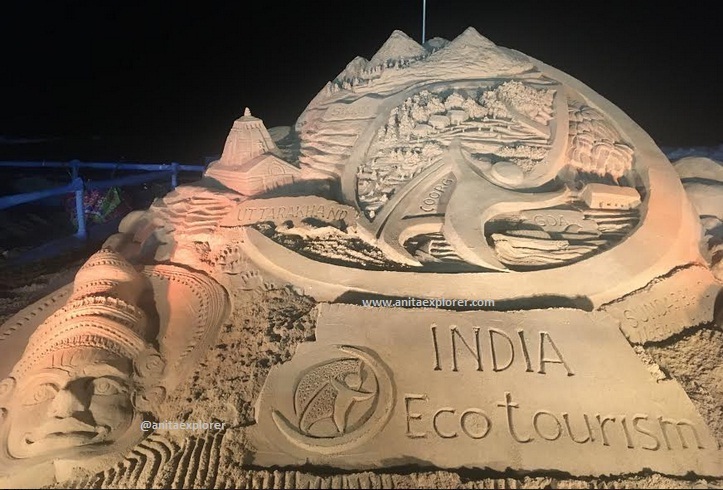 Artists had created sand art based on the two themes namely- 'Disability' and 'Ecotourism'. The art was unique and creative. 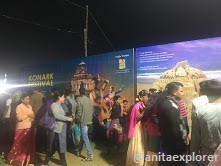 Note- The Konark Dance Festival is organized during the same time near the Konark Sun Temple. If you plan to visit Odisha in December first week, you can experience both the festivals and celebrate 'sand' and 'dance' festivals together. Post for my second #atozchallenge. 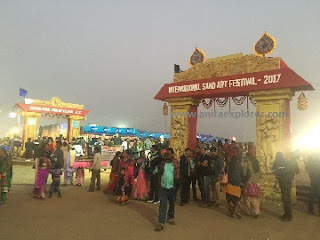 I for International Sand Art Festival, Odisha. Thanks for sharing beautiful with us. 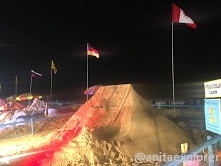 I hope you will share some more info about international sand art festival . Please keep sharing ! Sounds like a fabulous festival! The art seems incredibly beautiful and precise.